"Since teaming together, Roger Hammer and JD, both regulars at the Thursday jam, have attracted a nice following in recent years playing at local venues a combination of covers and original takes written by Hammer based on popular enduring blues standards that have stood the test of time." What is Hand Crafted Folk Rock built on the Blues? The hand crafted part refers to our style of original acoustic-oriented songs. 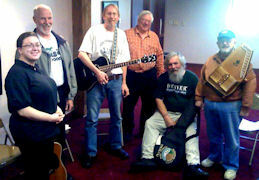 We also recognize the Blues as the basis for so much popular music that have been big influences to us. Roger’s early musical training began with piano at the age of 5, followed by clarinet, sax, guitar and bass. He has played in orchestras and bands in hundreds of appearances in Chicago and surrounding Midwest states. 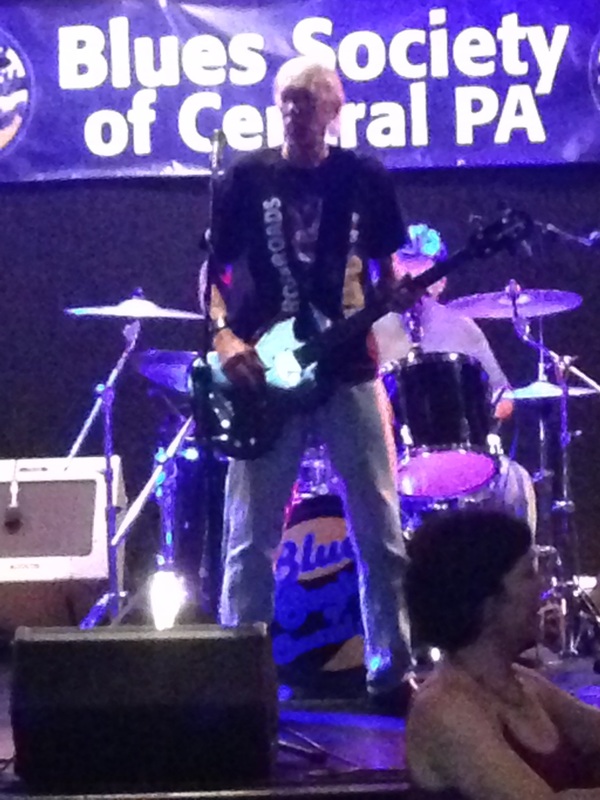 Most recently he has played both solo and with Harrisburg area bands, and currently in the duo, Roger Hammer Music, with JD. 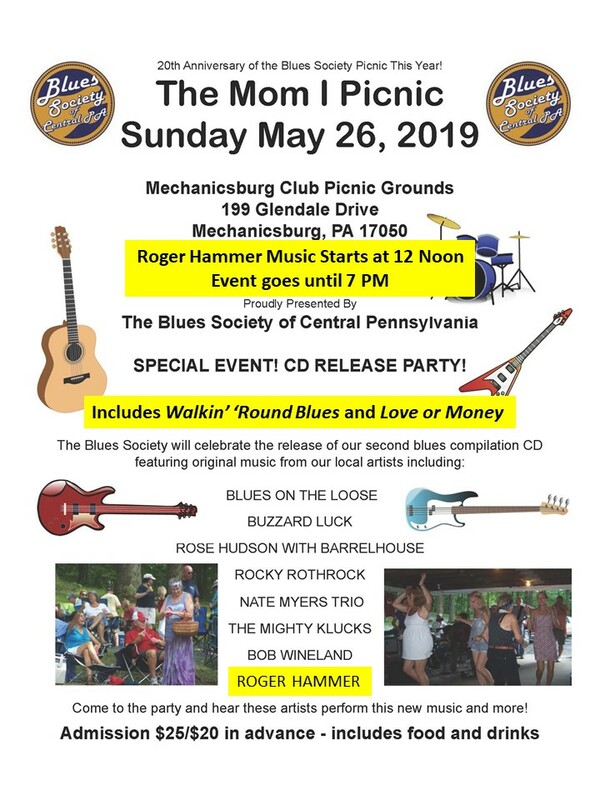 He proudly supports musical organizations like the Susquehanna Folk Music Society and the Blues Society of Central Pennsylvania. Roger says: "Covers are originals you have heard before, while standards are covers you have heard forever. I try to write original music and lyrics that sound familiar enough to like right away, but with something new and interesting, and enough substance to last. The singer-songwriter journey is fun and rewarding." JD has been playing guitar since age 10. He took lessons at Trombino's Music in Belle Vernon, PA during grade school and junior high school. He furthered his guitar skills taking lessons for one year in Amherst, MA at The Kevin Jones Guitar Studio, concentrating on Aaron Shearer's Scale Pattern Studies For Guitar. Following that he majored in classical guitar in college for 2 years, completing the Carcassi Classical Guitar Method, and other studies. Currently, he is getting into Bluegrass to further his skillset and is taking Skype lessons from Jake Workman, guitarist with Ricky Skaggs and Kentucky Thunder. JD played in a rock band and a Tijuana brass band in high school. He was a guitar instructor at Osiecki's Music in Erie, PA and at his own guitar studio in Edinboro, PA. He has been in many bands over the years including classic rock, heavy metal, punk, wedding, easy listening, and acoustic duo. He continues to give lessons at his own private studio in Carlisle, PA. These days he enjoys attending blues jams, playing and practicing during his spare time, and listening to varied types of music, including blues, jam bands, and bluegrass. "Hammer has a way with words, delivering wit-edged, personal observations about people, the world and life’s journey". "Roger Hammer has handcrafted his own distinctive slant on folk-based rock, and he demonstrates his unique blend and style…wielding acoustic and electric guitars". "It was great to see these guys rockin’ out on stage. Both of them have some great guitar skills." 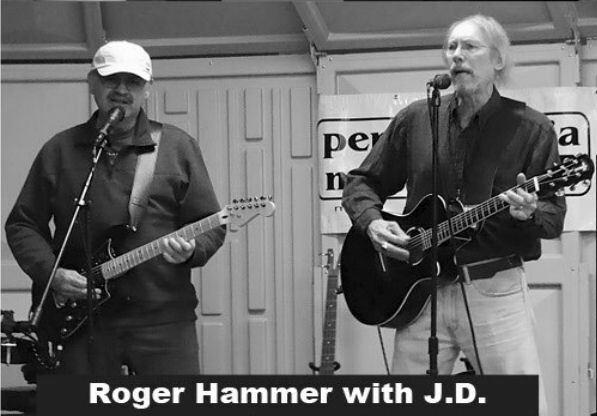 Another repeat performer on our stage this year was Roger Hammer and JD. 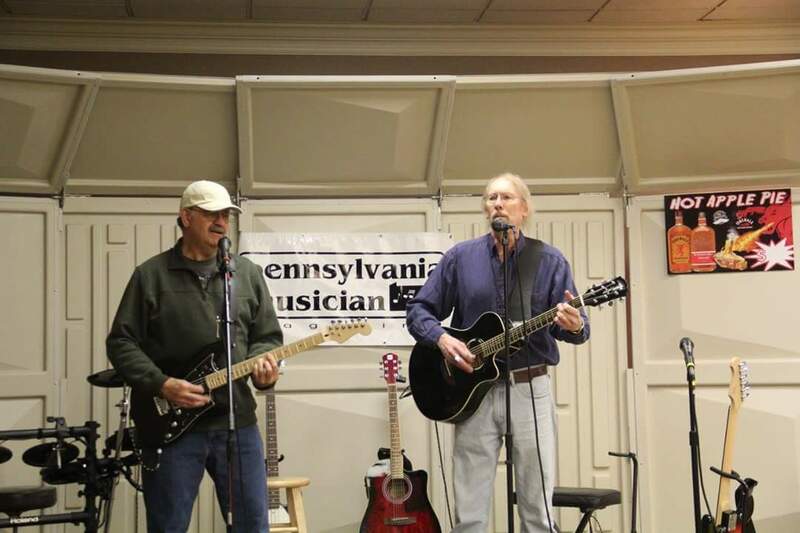 Another great blues duo from right here in Harrisburg. It was great to see these guys rockin' out on our stage. Both of them have some great guitar skills. These guys had shows on Friday and Saturday night. They were busy this MMC. I'm glad they took time to stop by and play us a few songs.